Hinterland’s rustic-chic Scatter/Gather chandelier is a low-energy light made from artfully arranged pieces of driftwood that were collected from the coasts of British Columbia. 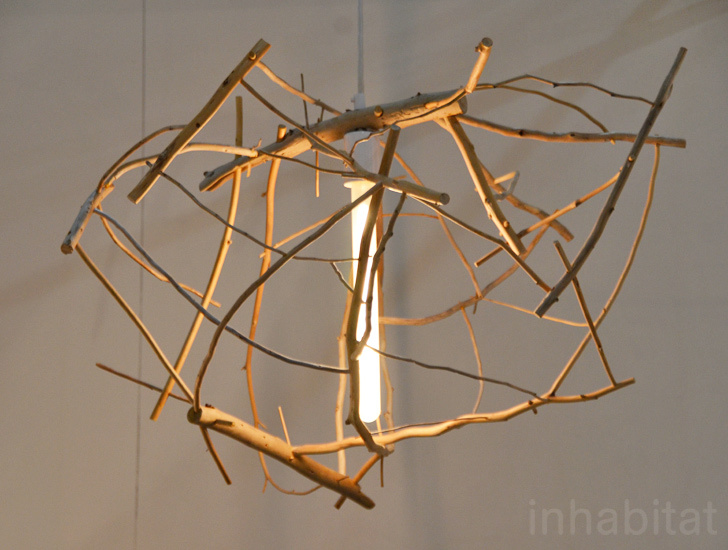 The hand-made pendant centers around the warm glow of an LED bulb, making a truly unique chandelier that appeals more to the nature-lover than the glamazon. Hinterland’s designer and founder Riley McFerrin created the Scatter/Gather lamp as an art piece-meets-function. The designer gathers the wooden branches and sea-washed driftwood himself, while trekking up and down the rugged Pacific shoreline, anywhere from Oregon to British Columbia. Finding inspiration in their ocean-smoothed shape, they are pieced together in a sort of organized chaos, as if to dance around the central light. Each branch is held together with glue and tiny pegs, so as to not interrupt the abstract and natural flow of each beautiful lamp. 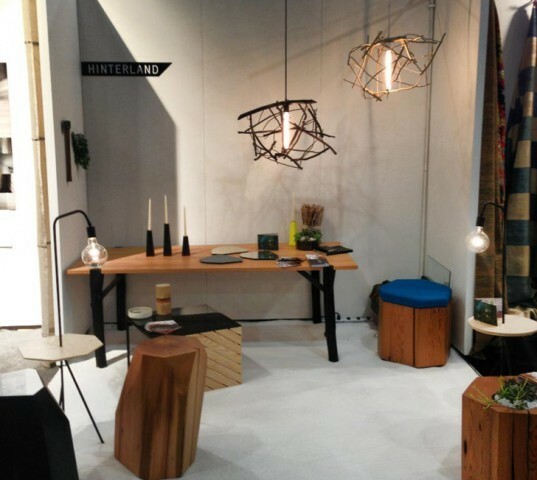 The Scatter/Gather light on display at ICFF uses little more than the natural beauty and color of the driftwood to create the organic chandelier, but Hinterland is not afraid to get a little more decorative. Other pieces in the collection are given splashes of color by twisting remnant cloth around the branches, with only natural or carbon pigment dyes used to add to the color palette. The bursting pendant light comes in two sizes-a modest 24 inch round cluster, and a larger 32 inch, which lets nature take center stage in any room.